Cadmus is a free clean resume, with a 2-column structure layout on a white background, and with blue elements. A vertical rectangle next to your name for your initials brings a nice modern touch to this template. 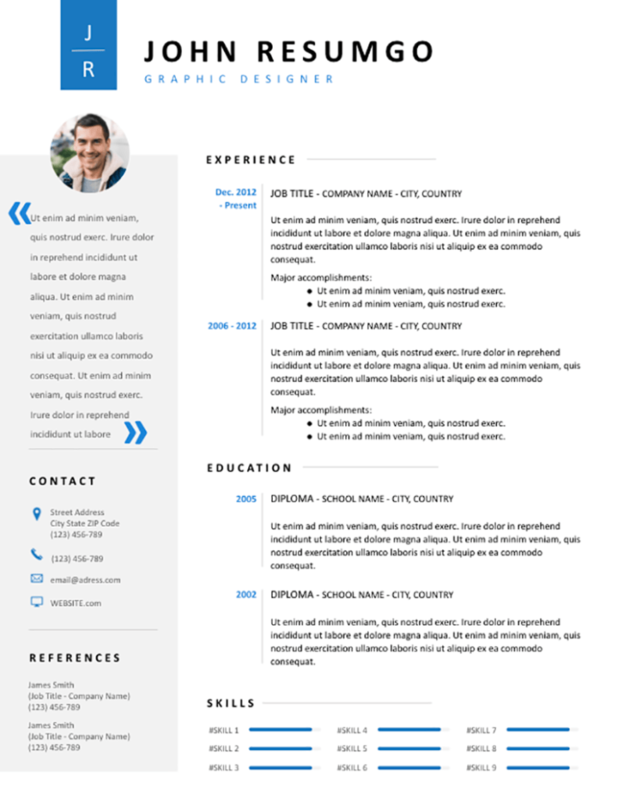 The light gray left column design will make your CV unique: use it for your (circle-shape) ID photo, your profile, objective and/or career summary statement with quotes, and for your contact information and references. The right (main) part is for your (reverse) chronological information: your work experience, education and your skills (bar chart).